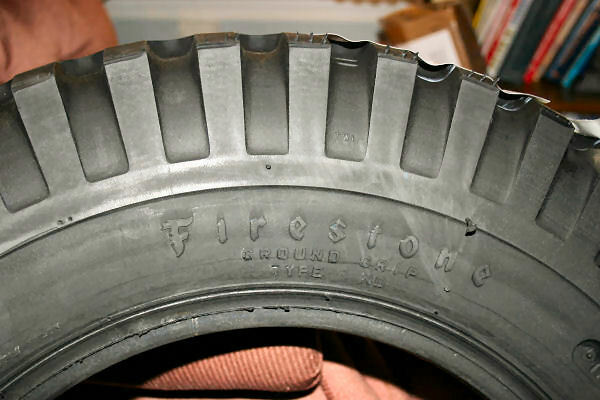 After an exceptionally long wait the Firestone tires that I ordered in June 2004 from Coker finally arrived in March 2005. The tire looks very good with substantially all the correct markings and none of the standard tell-tale markings of the modern world. I ordered four of the 6-ply 6.00×16 tires. 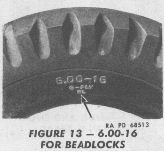 Firestone Ground Grip tires and marked type ND. 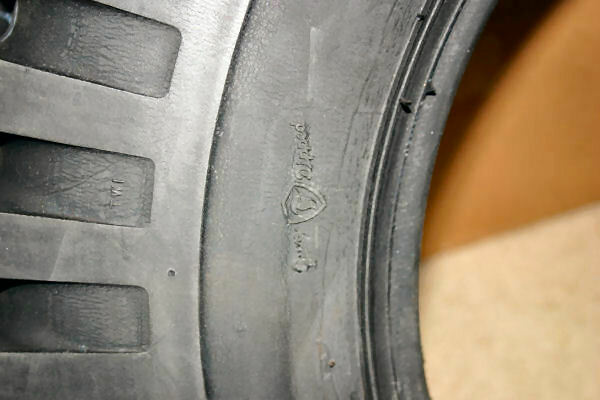 Another marking says that the tire is “gum dipped”. 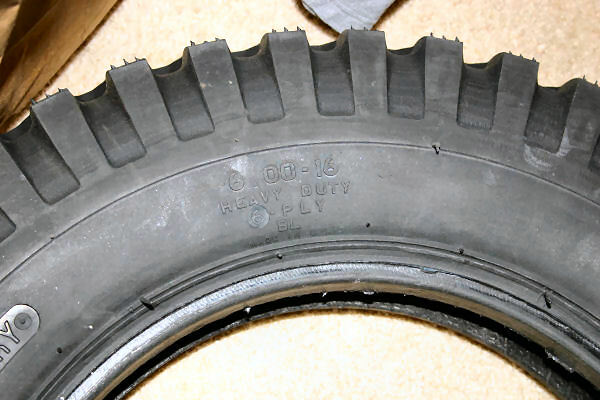 The tire is marked heavy duty and BL. The BL stands for bead lock. 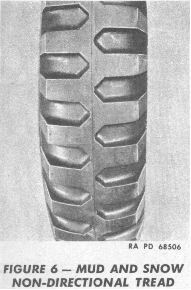 On the sidewall is an indent molded into the tire. 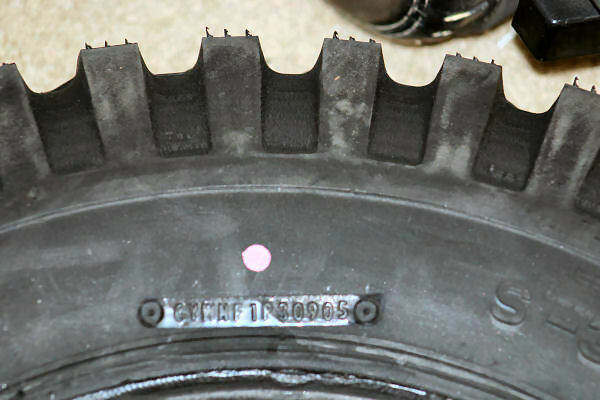 I’m not certain at this point what it is for but it may be for the “red” tag or circle that goes on the WW2 tires. 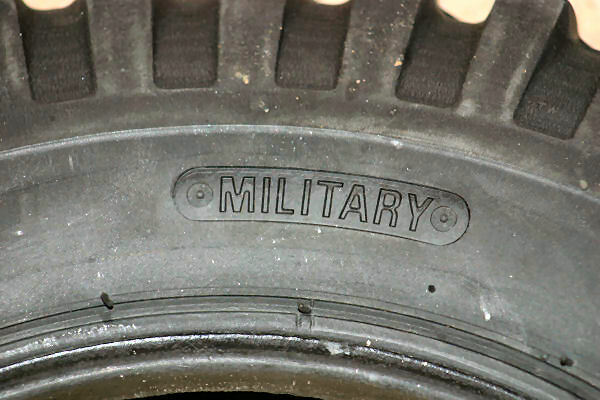 “MILITARY” is prominently featured on the tire. 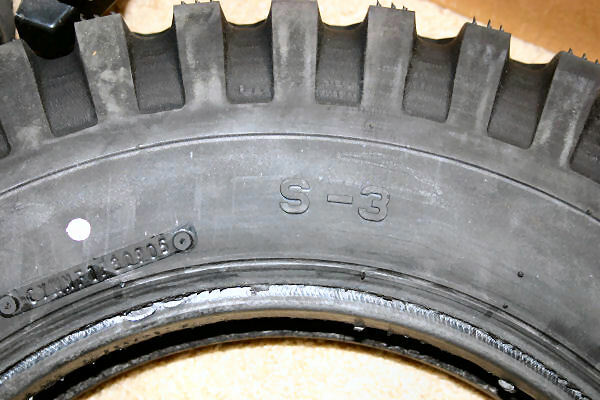 “S-3” is also molded into the sidewall. The small red dot is the balance point. This should be lined up with the tires’air valve (on the inner tube). 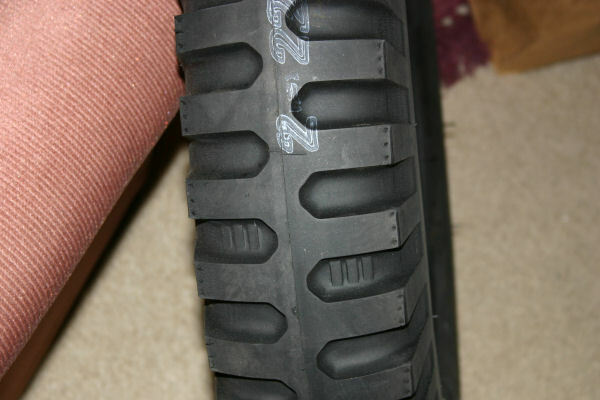 The tread looks very good and the wear bars don’t go all around the tire. 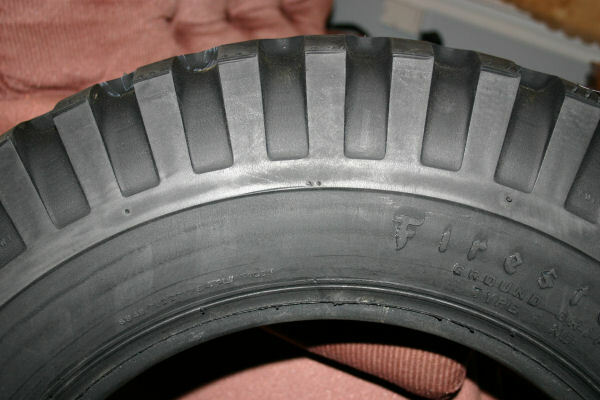 A view of the tread from the side. A nice squarish look. The tires look very good and in the first analysis well worth the wait! 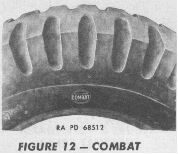 I will get out my copy of the WW2 manual on tires and see how the markings compare! 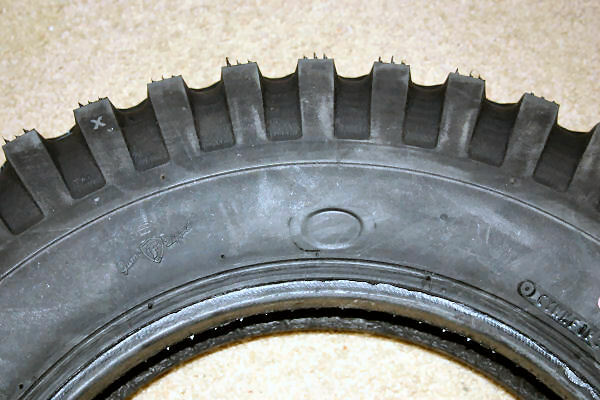 A view of the tread from the side. A nice squarish look. This appears to be the one missing marking! The serial number seems to be much as the original. 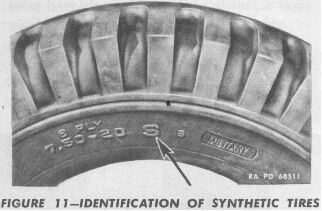 The synthetic marking on the Firestone is S-3. The tread looks very much like this picture from WW2. 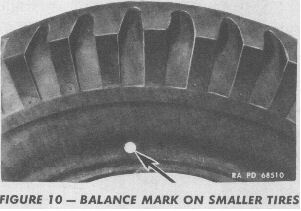 The tire carries the same markings–6.00-16 and BL. Overall, Coker has done a pretty good job. 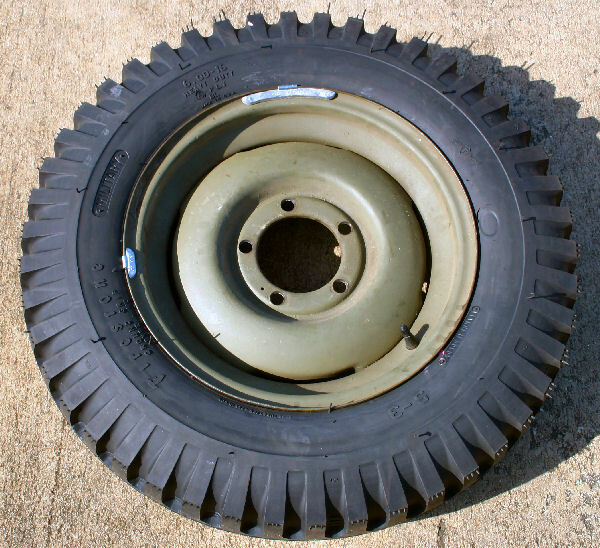 The tire mounted to my postwar rims. It looks pretty good. This could be very subjective but I swear these tires feel heavier then the Denmans(tm) I removed! Of course the Denmans(tm) were well used. The wheel and tire combo looks pretty good on my jeep. I am very pleased with the over-all job that Coker has done with these tires. 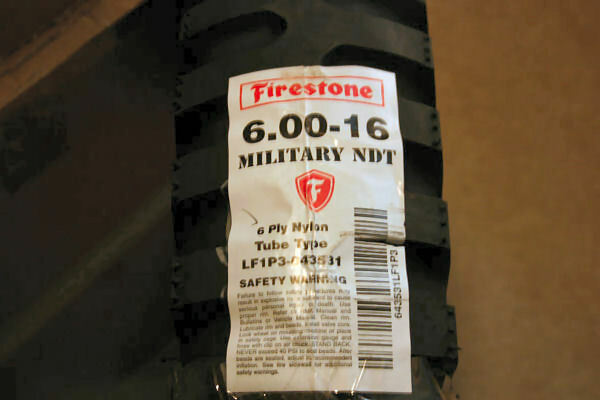 I hope that they will take the time and investment to update their other WW2 NDT tires and make them just as good.